African Mango Diet - Diet Reviews: Does African Mango Diet Really Work? The African mango diet is one of the latest diet crazes to make Internet headlines today. This diet utilizes the extract of the African mango, a fruit that is only grown in the African country of Cameroon to date. This fruit is said to contain a powerful punch of fiber and protein to suppress appetite and build lean muscle mass. The African mango diet typically combines a supplement containing African mango extract with a low-calorie diet and exercise program for best results. African mango supplements are sold online, and some include other weight loss ingredients to maximize the effect of the diet pill. 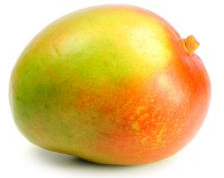 The African mango has been touted by health care professionals like Dr. Oz because of its high fiber content. High fiber foods are thought to contribute to weight loss by filling up the stomach for longer so dieters consume fewer calories overall. The seeds of the African mango, known as dikka nuts, are rich in protein, which builds lean muscle mass on the body so fat is burned more efficiently. The manufacturers of African mango diet supplements claim that these pills target belly fat, an area that dieters often find particularly stubborn in weight loss programs. The supplement also claims to lower cholesterol levels and leptin levels in the body. Leptin is a hormone made inside fat cells that helps to regulate appetite. Lower levels of leptin are thought to be associated with weight loss, although the specific connection between the two is not completely known. The African mango diet basically consists of adhering to a low-calorie diet and daily exercise program, while taking one or two African mango supplements each day. It should be noted that in the two clinical studies performed on African mango for weight loss to date, the true ingredient that was measured was IGOB131, an extract from the African mango. If you want to see the greatest results from your African mango diet, this is the key ingredient to look for.